AMD has been showing off their next generation Ryzen plus Vega setup and boy does it perform well. Our US Editor Keith May was on the scene over at CES and managed to get a hold of not only demo footage but also the frames per second the game was running at. We have seen demos before from AMD but the frames per second marker is usually hidden. The game was running at 4K Ultra settings using the Vulkan API. Before we begin, it goes without saying that a single game should not be used as indicative of the overall performance. Keep in mind that this might not even be the full potential of the Vega graphics card, if the Ryzen sample being used is not overclocked then shifting to a much higher clocked 4-core will result in significant gains and could potentially eliminate most of the dips we see here, considering there is no way to tell whether they are GPU driven or CPU driven. We have heard of Ryzen samples overclocked to 3.7 GHz (all-core) but games are usually not capable of taking advantage of all threads in a given processor, so an Intel quad core clocked at 4.4 GHz and above can make Vega reach its true potential. Knowing this, we can see why Vega could easily be more powerful than the GTX 1080 (which is already benchmarked with an ideal processor combo). We already know that the Vega GPU is actually codenamed the 687F:C1 variant and has 8 GB of vRAM (almost certainly High Bandwidth Memory). As far as the branding of the Vega based graphics card goes, AMD can choose to roll with just about anything. That said, all the leaks, so far, point towards it being called the RX 490 graphics card. The RX 490 will be AMD’s 4K ready flagship that will be taking on the GTX 1080 at a similar price point. It is going to be the crown jewel in AMD’s RX lineup. The existing Polaris based lineup currently maxes out at the Polaris 10 based RX 480 – which is roughly equivalent to the GTX 1060 in terms of graphical performance. 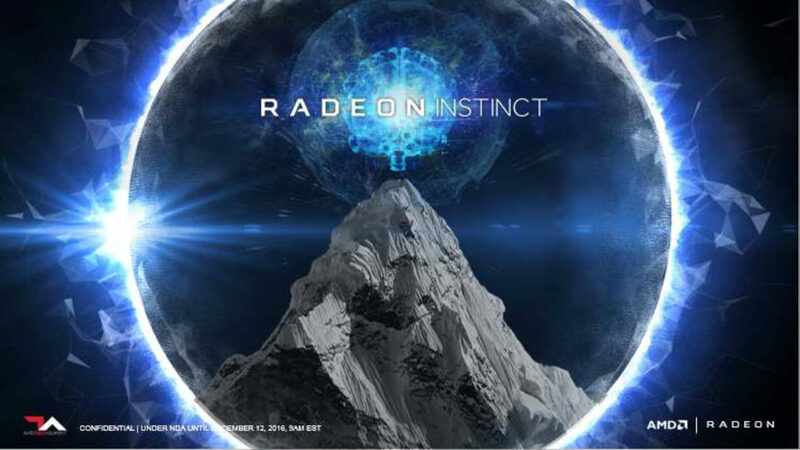 According to AMD, Polaris 10 is the largest 14nm FinFET GPU available right now and that raises interesting questions about what we can expect from the RX 490. In previous demos of Doom we have seen an average score of 66 fps, which is just slightly lower than the GTX 1080 but AMD has a long history of upsetting NVIDIA flagships (Hawaii anyone?) and the preliminary performance we are seeing here is almost certainly GTX 1080 level or higher. This is also why we believe that once AMD officially announces the Vega GPU, NVIDIA will take it as a cue to release the GTX 1080 Ti graphics card to retake their performance crown. Fortunately for AMD, the Ti constitutes a very small minority of the target market, most enthusiasts will max out at the GTX 1080 bracket which means that any market share they might have lost (or stagnated) due to lack of a competitor against NVIDIA’s Pascal series will be quickly regained. Everything from this point onwards will come down to pricing and once again, this is where the company usually shines. AMD will be hosting the Vega preview later today so stay tuned for more info.